Jolly old St. Nick brought the South Park Rail Society a Christmas Present; Colorado & Southern narrow-gauge boxcar 8027! Unfortunately, he left it several hundred miles away from Como and in need of some repairs. With your help, we will be able to bring C&S 8027 home to Como! Colorado & Southern 8027 is the sole known survivor of a group of 40 such cars built in December of 1898 by the St. Charles car Company of Missouri. Ordered by C&S predecessor Union Pacific Denver & Gulf, the cars were built the month the C&S was formed and were delivered lettered for the new Colorado & Southern and numbered 8025 to 8064. The “St. Charles” boxcars were wood framed, 30 feet long and rode on standard arch bar trucks. 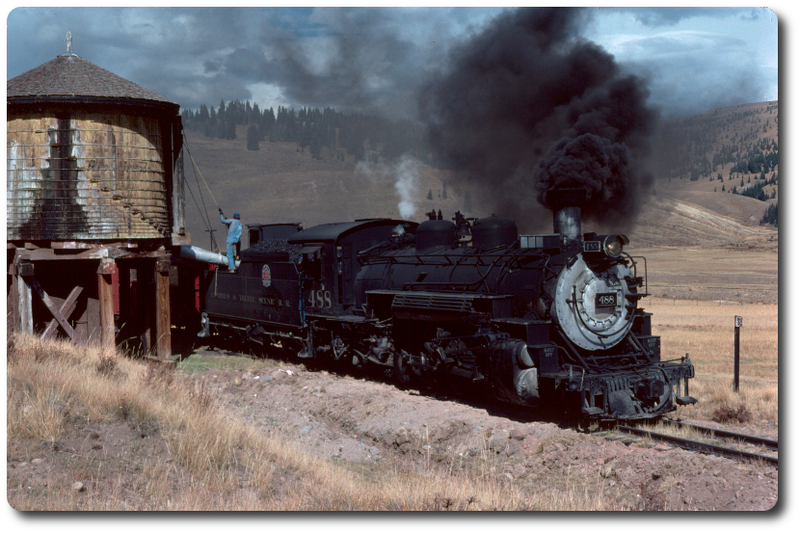 The cars survived long enough to receive major overhauls at the C&S’s Denver shops around 1930 and a few survived to the end of most C&S narrow gauge operations in 1941. C&S records indicate that 8027 was “Dismantled” in Denver in January of 1939. Stripped of its metal parts, the carbody was sold to a farmer east of Boulder where it was used as a calving shed and general storage until early 2005. Acquired by a private owner in 2005, the car was slowly restored over the next several years. 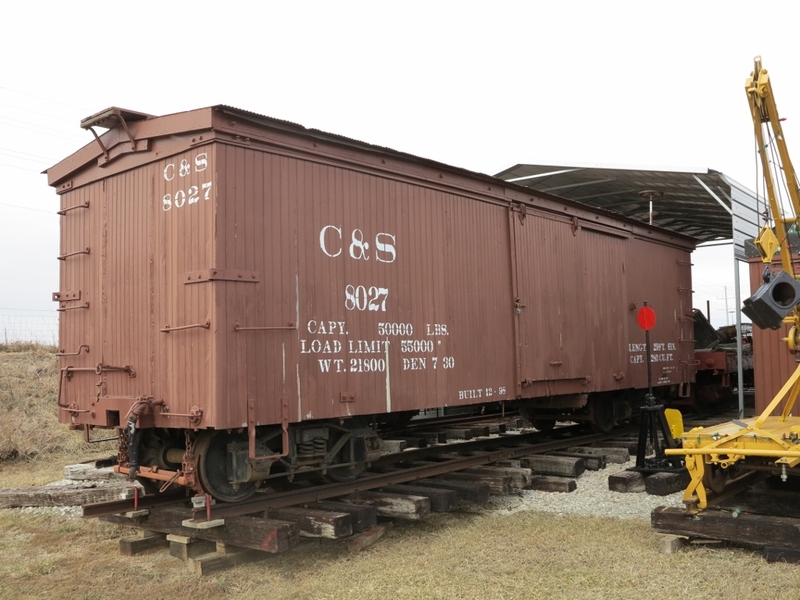 C&S 8027 has been donated to and is now owned by the South Park Rail Society. Our goal now is to perform some repairs to the car and move it from its present location in Kansas to Como. The South Park Rail Society is excited by this opportunity to return a piece of Colorado & Southern rolling stock to Como on a permanent basis. Our goal in the immediacy is to finish the cosmetic restoration of No. 8027 and return it to Como where it will serve as both a display and a place to store and organize the amazing amount of artifacts that have been and are being uncovered as work continues in Como. To house the car, a short section of Track No. 5, which once ran behind the west wall of the roundhouse will be rebuilt. This will allow the car to be both prominently displayed as well as easily accessed from the roundhouse. In order to accomplish this project, we need to raise $7,000.00; $5,000.00 to move No. 8027 from Kansas to Como and $2,000.00 to ready the car for display. Plans are to work on the car in its present location and then move it to Como. - Install needle beams, queen posts and truss rods. - Repair some rot damage to the siding. - Repaint and letter the car to a circa 1930 look, with the C&S “Button Herald”. - Move the completed car to Como. - With your help, C&S 8027 will be on display in Como by the summer of 2019! Edited 1 time(s). Last edit at 12/29/2018 09:27AM by Jason Midyette.